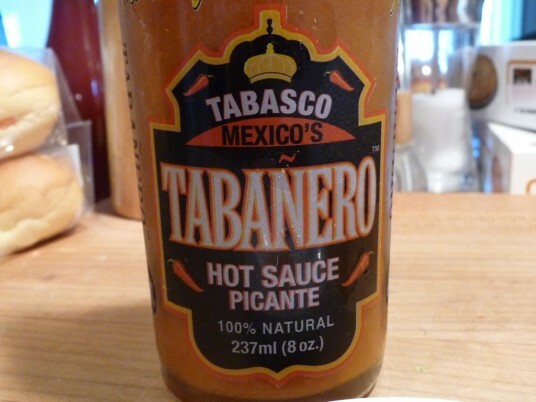 From the state of Tabasco, Mexico comes a spicy, flavorful sauce called Tabañero. 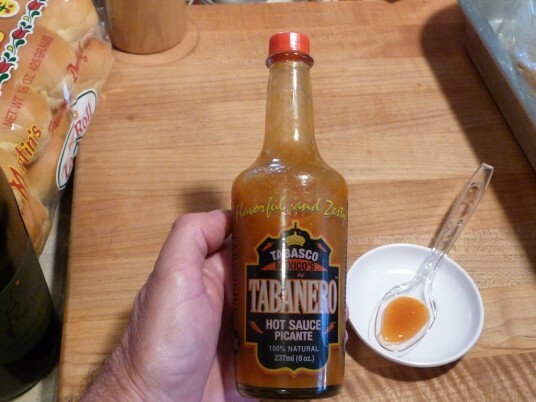 A combination of the words Tabasco and Habanero, Tabañero is a unique and flavorful hot sauce that is on the milder side of heat – perfect for the not-so-extreme Chileheads out there. 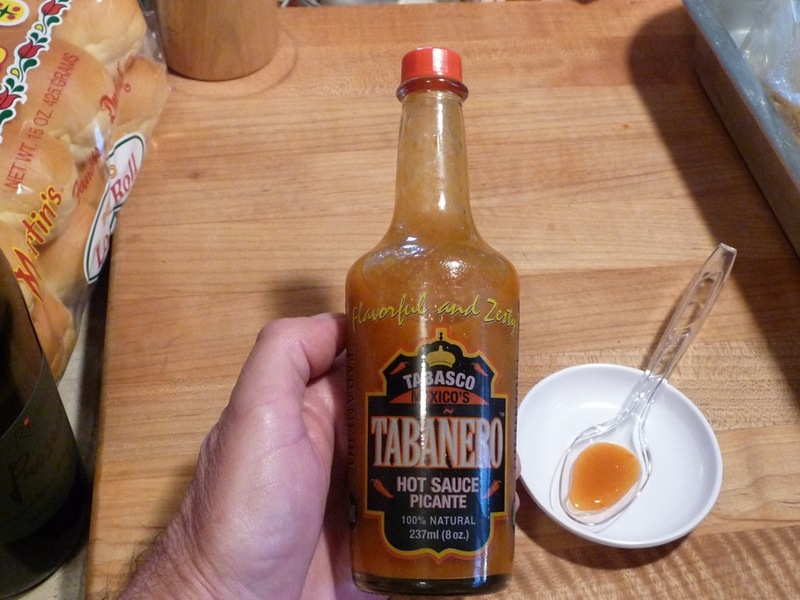 If you are at all a fan of Tabasco or Cholula, you will appreciate this new concoction. I’ve put Tabanero on the required slice of pizza, on some nachos, and recently a bowl of chili that Marilyn cooked up with Jac’s Tailgaters Bayou Chili seasoning mix. Tabanero Hot Sauce was delicious on all of the above. And for lunch today, just before finishing up this review, I splashed it on our chicken enchiladas and it was a great addition to the dish. The makers of Tabanero are proud of the all natural ingredients and the lack of any fillers like water or vinegar in their sauce. I think the fresh taste really shines, and even without the vinegar the sauce speaks for itself. 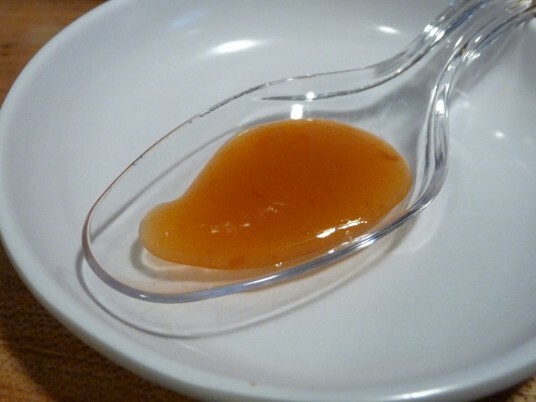 Texture & Appearance: – An orange rust colored sauce of a light-medium consistency… there is a slight pulpiness to the sauce, with very tiny bits of spices/peppers. Taste: – Big, fresh taste with a definite hit of citrus – I taste a cayenne pepper which may or may not be in the “select chili” ingredient. With no vinegar in the mix, it still has a natural flavor that reminds me of a vinegar-based sauce. The carrots and lime juice add a Caribbean slant to the flavor mix, and I’m always happy to see agave in the ingredients – a natural sugar. Heat Level: – The heat level is quite mild, almost at the Tabasco or Cholula level. I would not be surprised to find that Tabañero is compared to those sauces often. Label/Graphics/Packaging: – I love the unique flared shoulders of the glass bottle. The label is clear and shows off the sauce nicely. I think that a wooden or cork screw top would add to the classiness of the package (although a wooden cap might encroach upon the Cholula bottle topper “trademark”). The glass bottle is formed in a fashion that creates a built-in “dropper top” that you can’t avoid. This is my one complaint, as you can’t simply pour out this peppery goodness… you must whack the bottom of the bottle to get any amount beyond a few big drops at a time. 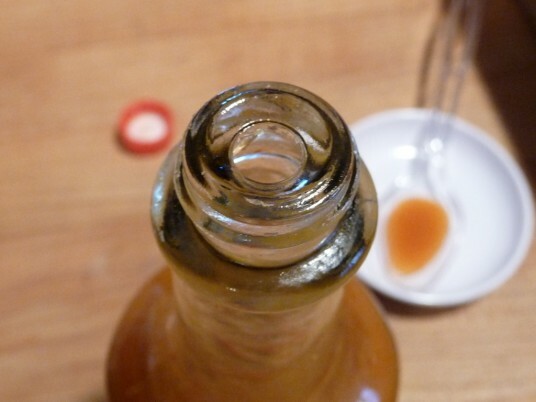 You CAN shake the bottle to get more sauce out. Overall Rating: – A fantastic lightly blended sauce that is all natural and definitely smacks of familiar sauces created in the U.S. This is a winner in my opinion. You can purchase Tabanero at their store.tabanero.com site. Final Thoughts: Regarding the “tilde” (~) over the “n” – as a side note, I found out recently that the word “jalapeño” does have a tilde over it, but the word “habanero” does not have a tilde. Making the tilde over the “n” in Tabañero a marketing / advertising gimmick. You see my dear friends, we Americans are stupid. This is NOT a knock on the Tabanero sauce folks, but rather a general observation in semantics and advertising. 🙂 Smiley Face. Grin. Tongue-in-cheek. Seems like a sauce my son and I would like. He’s a Cholula fiend while I think it’s the best “grocery store” hot sauce. 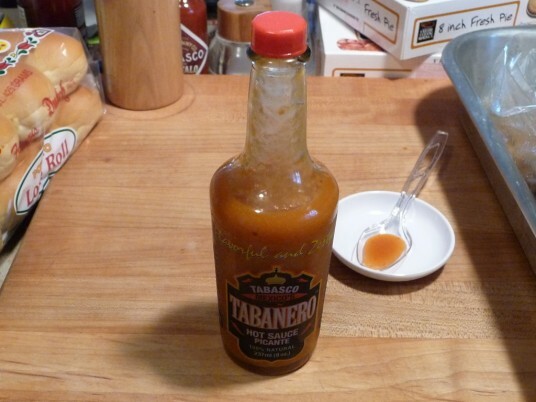 If you and Trevor are Cholula fans, I encourage you to order a bottle or two of Tabanero (without the tilde). They are launching new bottles soon with updated labels, and of course I will share them with you when they arrive. Just ordered a four pack with free shipping. Woo Hoo! Hope you like it. I ordered a 4-pack w/free shipping yesterday. Received shipping confirmation today. Looks like a tasty sauce! Very nice people there at Tabanero. Hey Jim, I think you’ll really like it. Enjoy! and thanks. Hey Brian. Yup, I really liked the sauce! Makes for a tasty everyday sauce. I ordered a 12-pack Friday. They currently have a 20% off special and contest on the Tabanero website. Thanks for the head’s up, Jimbo!